SILENCE: removing sound (noise, music, words) from our life so spiritual goals can be pursued. 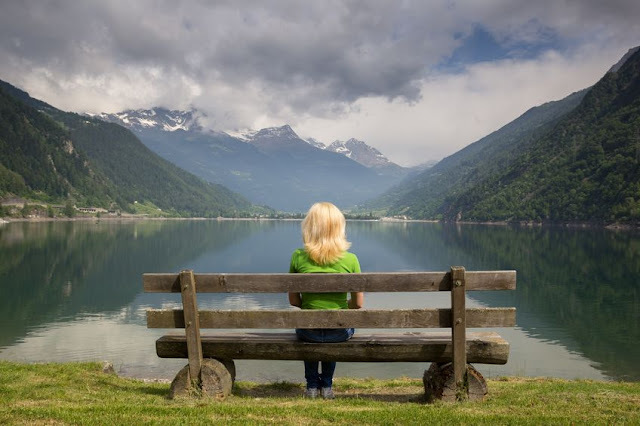 SOLITUDE: complete aloneness in order to receive guidance and oneness from God. Of all the Spiritual Disciplines I believe silence and solitude are the most difficult for us to achieve today. We are surrounded every waking moment with distraction to the point of numbness. There were many years of my life when I couldn’t bear to be alone or in silence. I did everything in my power to stay busy, distracted with the television, radio, people or activities (usually unhealthy ones). The reason I couldn’t stand to be alone or silent was because I didn’t like myself. Not only that, I couldn’t stand the voices in my head. And later I didn’t want to hear the convictions from God to change my life. It wasn’t until I began my recovery journey that I learned how to enjoy silence and solitude. Today that is what I prefer. I rarely turn on the television or listen to anything in the car. I have found such freedom in silence and solitude. If you’re new to these disciplines I encourage you to start small. Choose a short period of time, maybe 10 minutes, set a timer to help alleviate distraction. Then just sit alone in the silence. It might feel awkward at first. But soon the silence and solitude will be your friend. Choose an activity or chore, do it in silence with an attitude of worship to God. My favorite is to take a walk with no music or phone conversations. It allows me to enjoy God’s creation in a much fuller way. These are just a few suggestions. You can find much more in the resources I have listed below the music video. If you haven’t before, I strongly encourage you to dive into silence and solitude. There is so much to be gained there. They are invaluable and help us with other disciplines and areas of spiritual growth. If you can’t see the video below CLICK HERE to watch an excellent video that will help us slow down.